I visited East Africa nine times between 1995 and 2009. From the moment I set foot at my first orphanage, the Missionaries of Charity in Huruma, Kenya, I have never been the same. My chest ripped open and my heart beat outside my body. I began to take people with me to have this experience, to watch their exteriors crumble as mine did. The first cycle of face.africa unfolded in 2006-2007. 70 orphans at Villa Teag orphanage and school in eastern Nairobi, Kenya were matched with 70 emerging and professional artists in the United States. Based on a photograph and brief biographical information, the artists voluntarily created an 11x14 portrait of a child in various mediums. The portraits were delivered as gifts in July 2007. Photos were taken of each child as they received the art, and the artists received the photo in return for their creative efforts. The second cycle of face.africa occured in 2007-2008. 30 young women from Carolina for Kibera’s Binti Pamoja program were matched with 30 emerging young women artists from the Missouri Fine Arts Academy. Binti Pamoja translates to “Daughters United” in Kiswahili, and provides a forum for young Kenyan women to discuss issues that concern them. 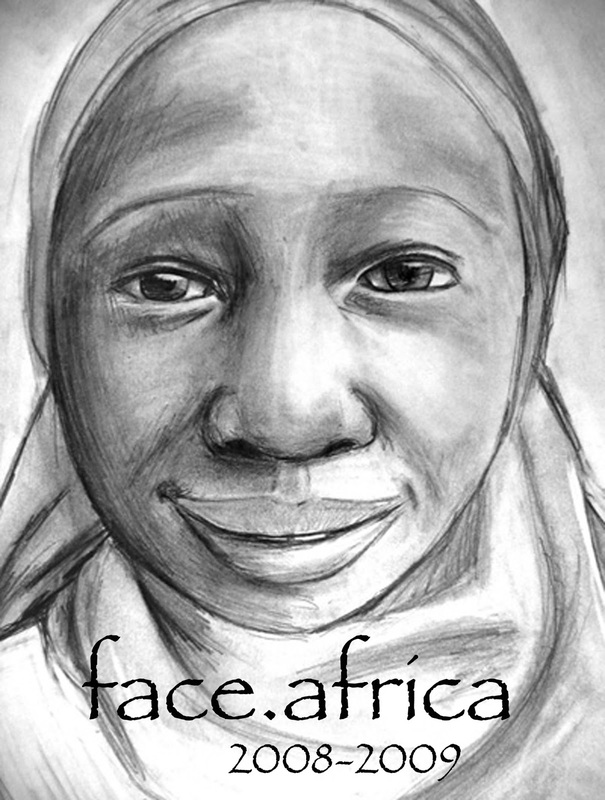 See their vision at http://cfk.unc.edu/binti-pamoja.php. The Missouri Fine Arts Academy provides a unique program of artistic, extracurricular, and social opportunities to Missouri’s talented high school students. See their vision at http://www.missouristate.edu/mfaa/. 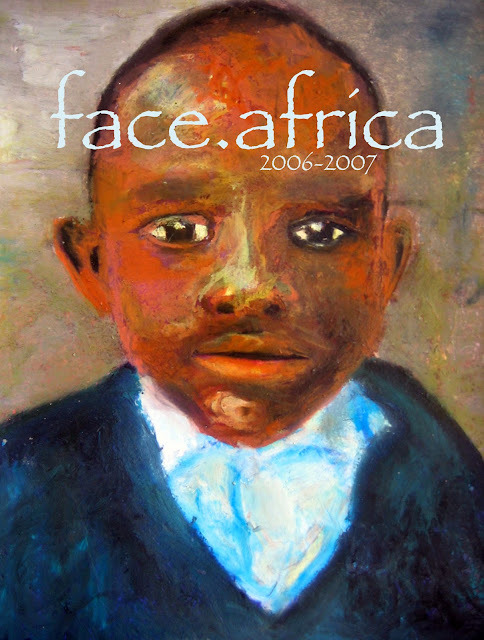 The third cycle of face.africa happened in 2008-2009, this time with 33 artists from the Missouri Fine Arts Academy. The artists are young men, women, and friends of the Academy participants. The subjects of the portraits are again from Carolina for Kibera’s Binti Pamoja program. 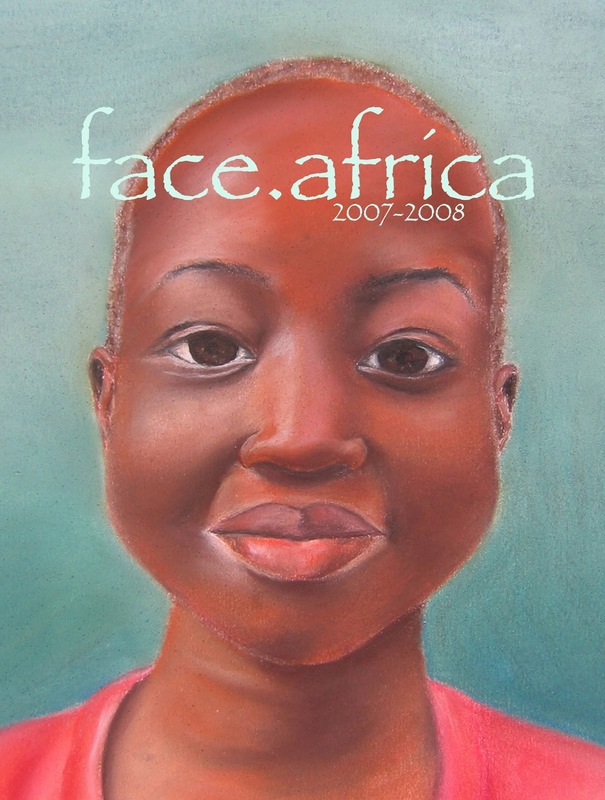 Exhibitions of the portraits before delivery happened in several cities around Missouri: George A. Spiva Center for the Arts in Joplin December 2007, Jefferson City Capitol Building February 2008, Leedy-Voulkos Art Center Kansas City May 2008, and The Creamery Art Center and Missouri State University Springfield February 2009. Several stories could be told about these young women and children. Several stories could be told about the artists and the making process. But I think the art stands. The art speaks.